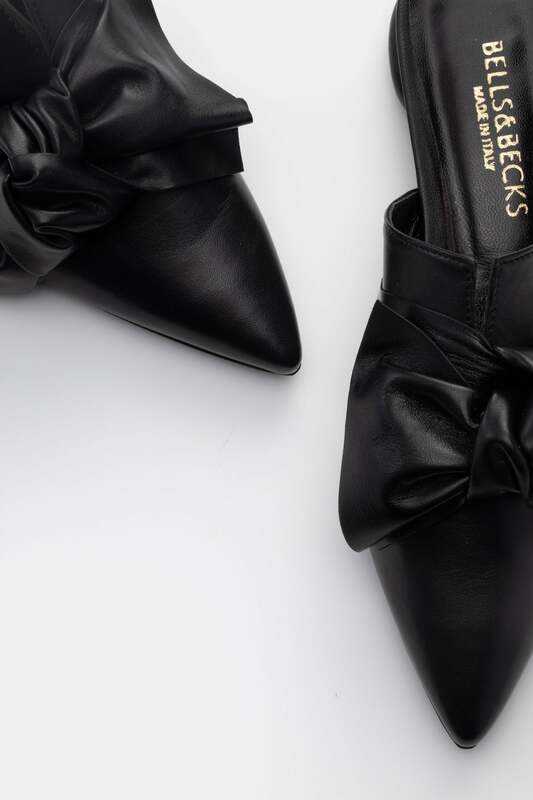 A soft, drapey bow detail and unexpected round heel define this unapologetically feminine shape. In incredibly soft glove leather, the Anna mule molds to the foot beautifully for day-to-night comfort. 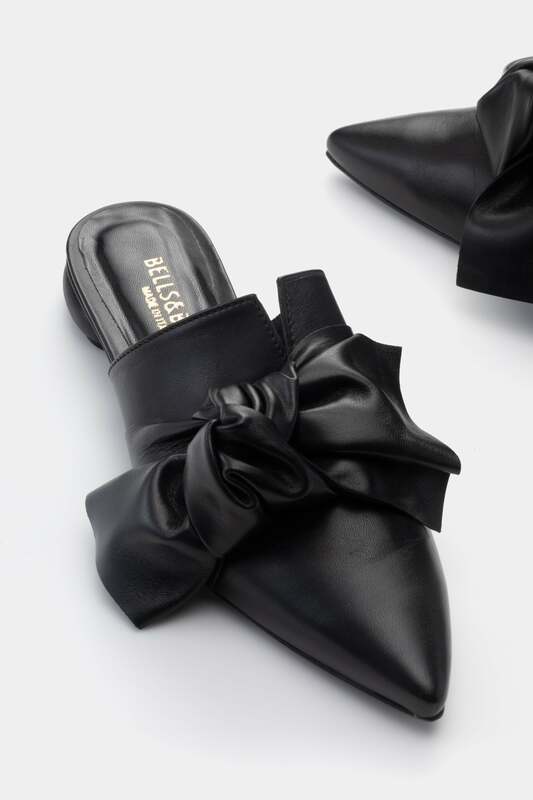 Always versatile in black, this slip-on works effortlessly with everything from jeans to an LBD.